Nightlife in the magnificent island of Naxos is active and diverse. There are many clubs in Naxos, serving delicious cocktails and playing all kinds of music, from jazz to modern pop and Greek music. In fact, there is something for all tastes to live a night out on the island. Most Naxos clubs have fun atmosphere and are the perfect venues for dancing and socializing. They are stylish, open from midnight until morning, and organize exciting parties. The majority of the most popular Naxos clubs is concentrated in the capital, Naxos Town or Chora, at the waterfront or along its scenic narrow streets. Here are some clubs in Naxos. Each club is presented with detailed text, photos and point on Google map. If you have visited any of these clubs, feel free to write your review. All request forms go directly to the club manager so that you can make a reservation in person or ask them any question. One of the best clubs in town, skillful DJs and barmen, the latest club hits and clean drinks. Excellent service and great mood. 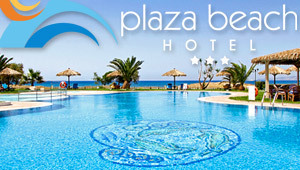 The club is located at the start of the Naxos port road (Paralia).